1. 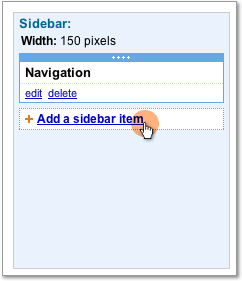 Site owners can add and remove items in the site sidebar by clicking the "Edit sidebar" link at the bottom of the sidebar. 2. You can edit, delete, or add new items to the sidebar. 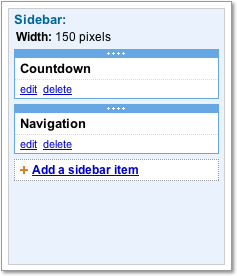 Click "Add a sidebar item". 3. 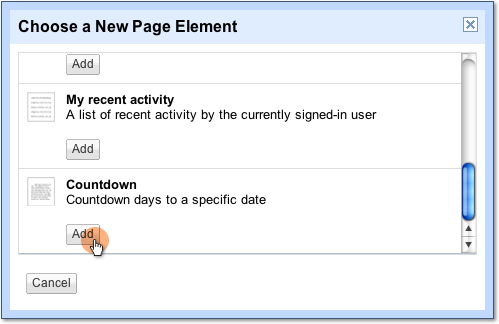 In the dialog, select the type of page element you want to add. 4. The item is now added. If you want to organize the elements, you can reorder by dragging the boxes. 1. 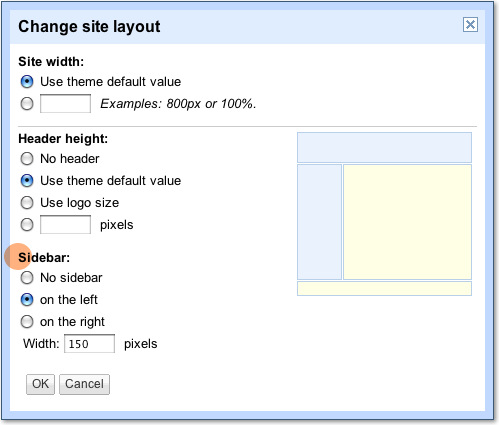 Click "Change site layout". 2. 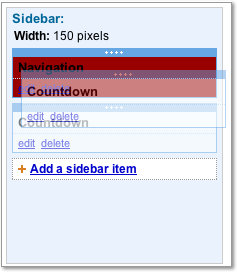 In the dialog you can select the location of the sidebar and the width. When you are done, click "OK". 4. Once your changes have been confirmed, click "Return to site". 1. 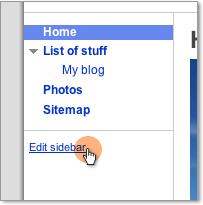 There are many ways you can customize your sidebar. 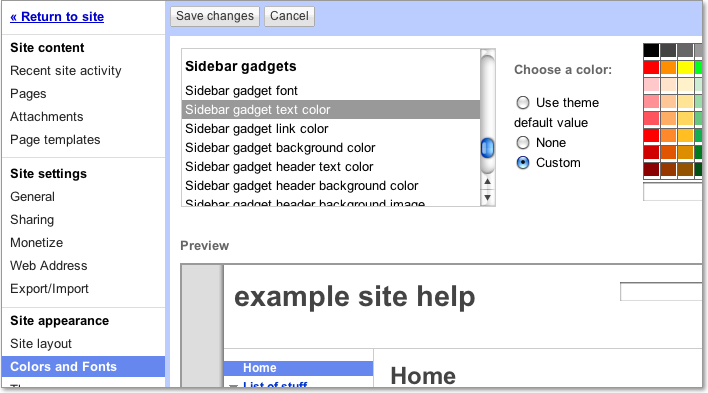 In the Manage site area, click "Colors and Fonts". 2. 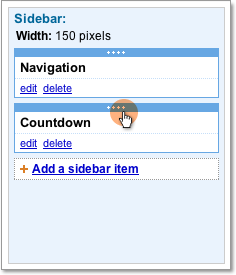 Scroll down to the Sidebar Gadgets section to view and modify the sidebar variables. 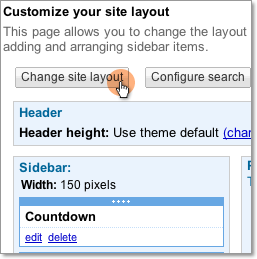 When done click "Save changes" and navigate back to your site.